If you’re in a marketing role, chances are you are more than likely stressing and obsessing over your SEO rankings. As a marketing professional, we know that having an effective SEO strategy can make or break your entire marketing campaign. But what about the importance of on page SEO? What even is on page SEO optimization? During this article, we’ll share with you why on page optimization is important, and provide an on page SEO checklist, as well as an on page SEO guide for you to use in your next marketing plan! What do we mean when we say on page optimization? We’re simply talking about the content, tags, code, etc… everything “on the page” of your website to make the site search engine friendly. All of the above-mentioned pieces make up your website. These are attributes that you have to create and maintain in order to stay relevant in search results, and to have a successful SEO campaign. But what makes on page SEO so important? To talk further about this, let’s look at the three things that actually make up a good SEO plan. Inbound links to your website from other relevant sites. Content creation and variety of content type. Okay, so we answered the question “what is on page SEO optimization”, but now let’s head back to why dedicating a good chunk of your SEO plan to on page SEO is important. We don’t really tend to think of our websites as efficient items, right? But having an SEO plan that is efficient, performs even with your constant monitoring, and produces results IS something that all marketing professionals strive for. If you throw all of your budget dollars and time at attempting to build relationships to have other websites link to YOUR website your SEO plan needs some revamping. It’s probably safe to say that you aren’t getting the results that you deserve for the amount of work and money you’re putting in. Why? Because your website itself isn’t acting an SEO machine. Search engines look at things like inbound links from other websites, sure, but they also look at the content, tags, and code (or on page SEO!) of your site to ensure that the site is actually legitimate! Don’t spend all of your time on one area of SEO. Put extra effort into creating on page optimization that will go farther on search engines than an inbound link. You also want to have your link building efforts supported by on page optimization – that way those efforts don’t go to waste! As you build your new SEO plan with on page SEO first and foremost in your mind, run through this handy checklist of ideas to make sure that your efforts are on target with SEO best practices. It is easy to get caught up in choosing the perfect URL for your business or blog. But consider this before you purchase – Google looks at the first three to five words in a URL and give those words more weight than the others. What does this mean? Keep your URLS short, sweet, and to the point. See number 1. Keep the URLS short. Not only will your clients and customers thank you, but search engines will see your URL as relevant information instead of just a string of numbers. May businesses have a mission statement, tag line, or an idea that they want to be known for. So what’s yours? What’s the keyword that you want customers to associate with you? Put away your SEO hat for a second and don’t worry about search engine rankings. Just think about the keyword that is most important for your business. SEO is not something that happens overnight, so ranking doesn’t matter at this point. What you need to focus on HOW to get your keyword, and thus your business, INTO the search engines. Got the keyword all set? Good. Now, let’s talk more about it. That keyword in your head should be part of your unique selling proposition. There should be at least one or two words in there that you’re willing to target that REALLY hit the mark on what your business is all about. Someone should look at your chosen keyword and immediately know what your business does, provides, or creates. Using a keyword that isn’t hugely popular can actually work in your favor. How many auto businesses do you think you’d compete against by using a common word like “car” or “cars”? Instead, head back to your selling proposition and see if any other words will suffice. This leads to less competition! What do we mean when we say a HTML “tag”? We mean the piece of code that search engines read and use to rank your website in their listings. Title tags and H1 headings are your most important pieces of a web page. Your Title Tag is found between the HTML code of <title> and it should utilize the keyword you selected in the step above. Your H1 (heading 1) is the next step in a good “tag” set up. Your H1 is the heading of your website. If you can, and if it makes sense in your copy and content, try using that same keyword from your title tag in your H1 heading. This can give your SEO a boost, and will elevate the keyword you’re trying to showcase. Only one H1 heading tag per website, please! This is really important. Your keyword that you used in your title and your H1 heading tag are unique to that URL. As we talked about, if you can repeat your selected keyword from your title in your H1 heading – do it! This will help your SEO. When creating copy for several pages, each title and H1 tag should have a different heading. Do not repeat the same text for an title and H1 heading on different pages. We talked earlier about dedicating (some) time to links coming from your website from external sources. But what about linking internally? The great thing about internal links is that you’re using your own website on-page SEO to boost OTHER pages on your site – all through linking pages in your content. Think about other websites you visit. More than likely, if the text on a page references a service that the business offers, there will be words linked to that services page on their website. Why not? It’s your service – you provide it – USE your own copy to direct people to the pages on your site that they want to visit. It won’t necessarily provide a massive bump in SEO, but it will help to an extent. Just watch that you don’t get too carried away and start linking to pages that aren’t relevant to your content. This can be perceived as “spam” by search engines, and you may end up hurting your efforts. What is meta description? Important, that’s what! Meta description won’t help you rise in search engine ranks directly, but they are REALLY important to your on-page SEO optimization. Why? They’re what search engines read when they crawl your site after someone searches a specific term! You know how Google provides a small snippet of text after the name of a site to tell the searcher a bit about the page they may click on? Yeah – that’s your meta description. If your site does not have meta descriptions, then no one can see what the heck your page is all about! And trust me, consumers will breeze right by that link without clicking if they can’t tell what your website will provide. They have no idea it’s relevant to their search, and you’ll lose traffic faster than you can blink. Moral of the story? Write meta descriptions. And don’t forget that they must be unique for each page. The headings that you’ve been reading during this article that separate each relevant portion from one another? Those are H2, H3, H4 Headings. They don’t provide as much bang for your buck as their older brother the H1 headings, but they should be used in your on page optimization plan. H2 titles should be used as they are in this article, to break up sections. Each H2 tag should provide an idea about what the next section of your website is going to cover. Don’t worry about trying to stuff keywords into your H2 headings, just make them natural to your copy. As we talk about linking, the NoFollow attribute in an anchor tag can come in REALLY handy when linking to other websites. 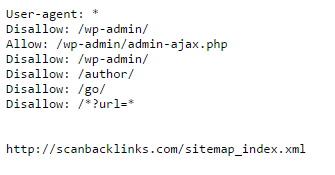 Every link that you provide to external pages gives that link “link juice” (yup, this is a real thing). The NoFollow attribute tells search engines not to pass the link juice to the page you’re pointing to. Why do this? Sometimes giving away too much link juice takes away from the giving page. If you accidentally link to a website that Google perceives as spam, you can hurt your rankings and site credibility. Use the NoFollow attribute to protect your page! This is a pet peeve of mine. Each page on your website should have unique content. Duplicate content on several pages on your website can actually hurt your SEO rankings. You may wonder why people would copy content from one page to another, but sometimes marketers don’t even realize that they have duplicate content. If you utilize a CMS like WordPress, Drupal, or Joomla to help customize and maintain your website (I don’t know about you, but I don’t want to write in HTML/CSS code – I’ll use a content management system for all of my needs!) check to see if your tool of choice has duplicated content with your knowledge. Now they don’t do it on purpose – but the tools are built to make it easy to add, edit, and delete elements off your site… and sometimes the copy they add to the modules is the same each time you add a text box, for example. There are a few ways to see if you have duplicate content on your page. Create a sitemap file. This will show you all of the URLS that are associated with your website – pages that you probably didn’t even know existed! Check these pages for duplicate content. If you use Google Webmaster Tools, duplicate content will come up in your dashboard. You will see this through title tag and meta description warnings. To get rid of duplicate content the easy way, just add a canonical tag to the heading of the page that’s creating duplicate content. In the tag, put the URL of the original webpage that you want to be displayed to search engines. This little tag will tell search engines to ignore any pages with duplicate content. There are other ways to remove duplicate content as well. Physically delete the duplicate content from all pages. Add a “no index” meta tag into the head of the duplicate content. Use a robots.txt file to block the duplicate content from your site. The title says it all. If your website is full of images without any alt tags behind them, search engines will see your page as completely blank and not index it in their searches. Since search engines can’t SEE images, you have to describe the images to the search engines. 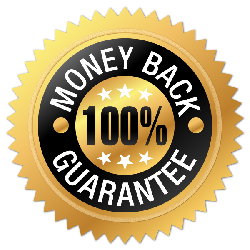 Not only does it give an extra on page SEO boost, but it shows search engines that your content isn’t only text – you are actually working on variety on your pages! Short descriptions of your images. Tell what the image is without writing a novel. If you’re running an e-commerce page – provide a description AND part number. Avoid duplicate alt tags if possible. While site speed may not seem like a big deal to on page SEO, Google thinks it is. The speed that your site loads is one factor that is used to determine your site’s quality. Ensuring images are small enough to load quickly is one want to work on site speed, or even switching to a faster hosting platform may be needed. Remember the 4 second rule. Your site should load in 4 seconds – if it doesn’t, statistics show that 75% of users won’t return. Now that you have an idea of what to watch for while you’re creating your on site SEO optimization plan, how do you think your SEO strategy will change? Remember, if you haven’t implemented a website yet, and are still in the planning phases, start your on site SEO plan NOW – it’s easy to do during the set up of your website! If your site is already up and running, no worries – just go through our on site optimization guide and start to see where improvement can happen! Good luck, and we’d love to hear about your ideas and comments below!